Aggiornamento della 400i, prezzo 500 USD circa. Il drive è nuovo ? Oppure è un cambio solo di forma ? Il cambio archetto esteticamente mi gusta un po’ meno il colore generale della cuffia ,accentua la sensazione di plastica. Appunto..non so se sia un bene o un male. a parte l'archetto che mi piace davvero di più della "vecchia"
5.0 out of 5 starsAmazing set of Headphones!!!! 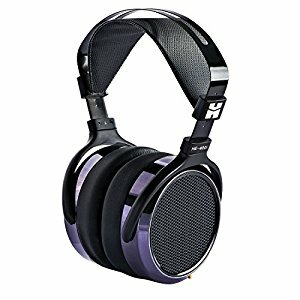 So far I have owned/tried Audio Technica M50, AKG K712 pro, Hifiman 400S, 400I, 4XX, Sennheiser HD600, HD700, and Monoprice M1060. I sold almost all of them except the 400I but those are boxed and going to be sold after hearing the Sundara. I’m an audiophile and music lover. Not a professional reviewer/writer with headphone test equipment. I’m a fan of all genres of music but mostly listen to alternative, rock, classic and acoustic. But I also listen to jazz and even harder stuff like Nine Inch Nails. It’s very comfortable and the pads don’t get hot. I felt the Focus/Focus A pads on the 400I/4XX got a little warm. The pads are leather on the outside and a soft almost spandex like material on the part that touches your head. They seem to have memory foam in them so it’s soft against your head. The clamp is only moderately more than the Hifiman 400S and 400I but less than the HD600. It feels very stable on your head and doesn’t feel loose like the K712. Build wise I think it’s pretty good but not perfect. I don’t like to agonize over the build it seems solid enough to last a while. But certain things like how the ear cup adjusters uses metal pins and scratch the inside of the ear cup arms, it doesn’t bother me but some people might get annoyed. Also the adjustment is very firm so that could be taken either way. The leather on the outside of the pad was a little wrinkled but it will probably come out with time. Also the pads are a little unevenly bevelled but not by much. Both focus pads were the same way. The cable is good rubber cable similar to the one that comes with the 4XX. The cable keeps it’s shape a little but it’s not springy. Nothing like the 400S cable, that tried to keep its shape if it had been rolled up. The box was the exact same as the new 400I box, it’s got a foam mold with a dark purple clothe lining it. It’s not like the old 400I or higher end model boxes but it’s nice enough. They are just as easy to drive as the 400I, 400S 4XX were. My iphone 6s got them to a decent volume without having to put the volume all the way up. I got the same volume from them out of my Onkyo RZ800 receiver headphone jack as the 400I, 400S, 4XX. I don’t have a dedicated headphone amp but I can imagine it would bring them to another level. I’ve listen to the Sundara for about 10 hours and it is an absolutely incredible headphone. If I had to sum it up in a couple words I would have to say smooth, resolving, natural. The Sundara has great detail in every section of the frequency spectrum but doesn’t over emphasize or distort. It has amazing bass. 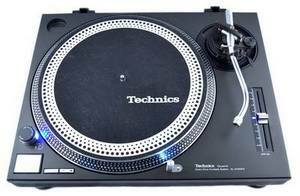 The sub bass extends down very low and is extremely quick and clean. It’s definitely good planar bass. The mids are excellent as well. Vocal clarity and detail is amazing. Both female and male singers sound very natural and present. The treble is very extended but natural, it does not sound harsh in anyway. The headphone as a whole is very musical, easy to listen to, and sounds natural. But it’s also very detailed but without being analytical. The soundstage is very open and wide but not too much were its exaggerated. The sound stage is extremely well defined. Imaging is excellent. Instrument and vocal places seem correct. The vocals are just high enough in the mix but without being too in your face. It almost feels like the singer is singing to you with the band right behind them. 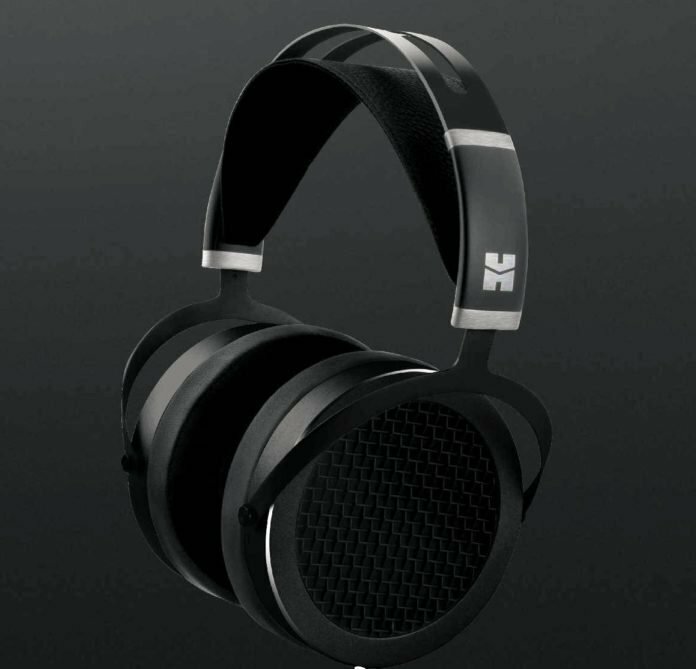 I really love the soundstage and imaging of these headphones. This headphone has combined a lot of the individual strengths of the headphones I’ve had or tried so far. It has better detail and resolution than all of them, even the HD700. Which had good resolution and detail but was sharp in the treble. The midrange is very natural and smooth like the HD600 but more detailed. It might not be a neutral as the HD600 but that’s hard to determine because I’d have to A/B a bunch songs and like I said I’m not a professional reviewer. The soundstage is almost as wide as the K712 but not so much that it sounds unnatural. I don’t want to say it’s warmer than the 400I and 4XX but it sounds more natural and real. The overall sound is to my ears superior to the 400S, 400I, and 4XX in every category (tone, bass and treble extension, clarity, soundstage, imaging) but it’s almost twice the price. For me it was worth it but for some it might not. Everyone’s ears and hearing are different so your mileage will vary. I apologize if I sound like the Sundara is the end all be all. I’m sure it’s not. I’m sure there are better headphones out there. But for $500.00 it seems like very good value for the sound quality and comfort you are getting. For me I didn’t want to spend $1,000 on a set of headphones so the Sundara is perfect for me. My goal in buying a set of headphones was to find one that reminds me of my main stereo speakers sound the Goldenear Triton 7s so I can listen to music and watch movies when everyone in my house is asleep. And I think I found it. Hopefully this helps anyone out there trying to decide what to get. Con la musica sinfonica quindi quale fra la he 400i e la sundara? Dalle varie recensioni in rete la Susvara deve essere una bella cuffia e forse qualcosa di più innovativo della HD660. Avevo voglia di una magnetoplanare di fascia media, approfittando del fatto che fosse passato da poco il mio compleanno, mi sono regalato una HiFiMan Sundara. A prezzo pieno non l'avrei certo comprata, ma visto che c'era l'offerta di PlayStereo valida fino al 28 di febbraio (salvo esaurimento scorte), ha vinto la scimmia. Prezzo scontato, due anni di garanzia con sostituzione con cuffia nuova in caso di problemi entro i due anni. I dubbi erano su quanto si legge in rete, relativamente alla qualità costruttiva e a problemi di esemplari difettosi, ma visto che comunque nulla e' perfetto e puo' avere problemi e visto che c'e' la garanzia di due anni, ho deciso per l'acquisto. E' arrivata a tempo di record, da PlayStereo (ho comprato diverse cose, da diversi anni da loro e non ho mai avuto problemi). Imballata benissimo, tripla scatola (due esterne piu' la scatola originale del prodotto). Tutto perfettamente sigillato. La cuffia e' abbastanza pesante e sembra robusta. L'ho provata ed e' comodissima (e' pesante nel senso che ha il suo peso che denota comunque un buon livello di costruzione, ma non e' affatto pesante o faticosa da indossare, lo scrivo per esprimere cosa intendo per pesante). E' nuova, quindi la rodero' piano piano. Non l'ho ancora ascoltata come si deve. Preso dalla voglia l'ho provata direttamente dall'uscita audio del Mac Book Pro, ascoltando in streaming Qobuz. Diciamo che gia' con il notebook suonava gia' molto bene, appena tolta dalla scatola. Stasera l'ho provata con il Fiio X5 III direttamente, senza ulteriori amplificatori. Suona bene, ma secondo me, come prima impressione necessita di ulteriore amplificazione. Il Fiio, peraltro ottimo dal punto di vista sonoro, secondo me fa fatica a pilotarla. Si sente bene ma devo alzare molto il volume, e la dinamica e' quella che e', fa quello che puo'. Prima impressione sonora molto positiva. Suono molto dolce e controllato, sensazione di bassa distorsione, suono controllato ma nello stesso tempo molto esteso. Bassi presenti e molto profondi (ma solo se ci sono), mai invadenti o enfatizzati in modo artificiale. (Per dare un peso al valore del mio parere. Non ho mai posseduto o ascoltato una cuffia elettrostatica (ne' stax ne' altre), i miei riferimenti sono cuffie buone, ma mai top di gamma. Sono le cuffie indicate in firma . (Amo molto le Beyerdynamic DT880 in versione da 600 ohm, mi piacciono le Shenneiser 650 che pero' per i miei gusti sono un po' scure, conosco anche le AKG 702 che sono un po' troppo asettiche e leggere sui bassi, a mio parere, conosco la Fostex 50 Rp che mi piace molto, soprattutto moddata con dei limiti pero' rispetto a cuffie piu' neutrali e corrette). E' presto per dare un giudizio alla HiFiMan per una serie di motivi. 1) l'ho provata in tutto un paio d'ore e con sorgenti che avevo sottomano in quel momento ma non particolarmente performanti in termini di capacita' di pilotaggio. 2) E' uscita dalla scatola due ore fa e quindi mi aspetto cambiamenti dopo un po' di rodaggio. Nei prossimi giorni la voglio provare con l'ampli a valvole cinese in firma (che pero' va molto bene con cuffie ad alta impedenza, cosa che la HifiMan non e') e con ampli a stato solido (Burson in firma) che va meglio con cuffie a medio-bassa impedenza. Come primo impatto direi che mi ha impressionato positivamente (seppur non era pilotata adeguatamente). complimenti per l'acquisto e grazie per le tue impressioni, dettagliate e circostanziate come piace a me. seguiro' con interesse se vorrai aggiornare.